It was the heat of the Moroccan summer. We were in Casablanca, heading for Milan. The plane was waiting on the hot tarmac, after a cramped bus ride. Fortunately the plane air-conditioning wasn’t working, and we had for company a family of four somewhat screaming children. There was a not-remarkable delay sitting in the cabin, but soon* we were on our way to the take-off strip. The runway if you will. I grabbed her hand as I am want to do during take-off and landing. The plane began to accelerate, faster and faster. We were about to lift off; starting to experience that surreal weightlessness when suddenly we began to slow down again. It took twenty minutes to limp back to the tarmac. The crew said nothing beyond that there was a technical error. 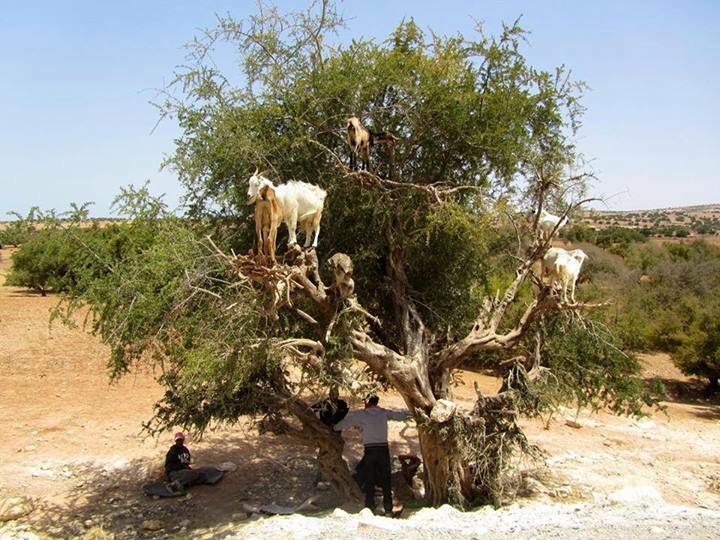 The Moroccan version of Newton’s realisation-of-gravity story is a lot more colourful! In any case, it was a major fault with an engine that had to be solved because there were no other planes available and I admit it was not the most comforting experience re-lining up again to take-off. 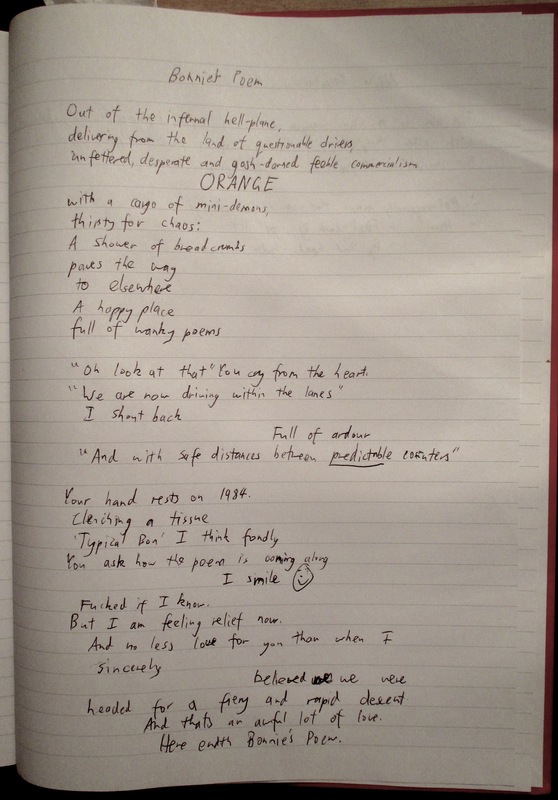 Having survived, Bonnie asked me to write this poem in the car in Milan, my normally illegible handwriting kept rigorously in check by the gloriously cool climate and surprised relief at not going down in a big fireball as I calmly expected. Moroccan cats have genetically evolved to maintain their kitten form well into adult-hood. This leads them to become world-weary and apathetic towards human-cat interaction. P.S. I completely understand that some countries have chaotic traffic/driving as the encouraged standard, usually with appalling fend-for-yourself conditions. However, perhaps the strangest thing about Casablanca was that the roads and lanes were exquisitely well-marked and signalled, yet everyone disregarded this and drove around like it was American Civil War Reenactment In Socks Night at a museum of waxed flooring. Those were happier, simpler times. A time when you could effectively create a program of Monopoly on your TI-83 graphics calculator and when 10 megabytes was considered a lot of memory that you definitely would not attach to an email. Since then I have seen school-age children search for the ‘on’ button on an acoustic upright piano and toddlers attempting to touch-screen-swipe (I don’t know what the term is) actual books in order to get to the next page. Anyway, there is something timelessly poignant about that rainy day when my sister and I lined the bathroom with paper and created this short, moving film (he’s vomiting at the end in case it isn’t clear; there was some rather graphic audio too, but it doesn’t translate to a gif and no doubt it would offend the internet’s delicate sensibilities). Hell, I’d barely even started piano then. I think ironically I spent more time trying just now to get the functional looping gif to work on this post then it did to create the thing all those years ago.